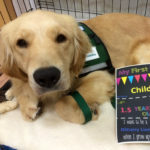 The newest Child Life employee at Penn State Children&apos;s Hospital loves playing with children – and chasing a tennis ball. 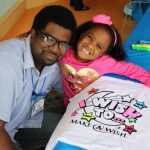 Make-A-Wish hosted a party for patients at Penn State Children&apos;s Hospital this week. Children had an opportunity to decorate t-shirts and enjoy pizza and ice cream. 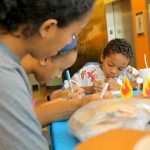 Some members of the Penn State Lady Lions basketball team paid a special visit to Penn State Children&apos;s Hospital recently. 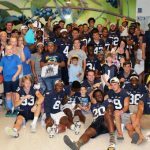 The Penn State Nittany Lion football team and Coach James Franklin visited with patients and families at Penn State Children&apos;s Hospital. 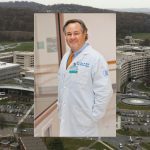 Dr. Mack Ruffin IV will serve as the next chair of the Department of Family and Community Medicine at Penn State Health Milton S. Hershey Medical Center. He will join the faculty on September 1. 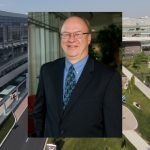 Penn State Health Milton S. Hershey Medical Center has named Dr. Thomas Tracy, Jr. to serve as chief medical officer (CMO). Tracy comes to Hershey by way of Brown University&apos;s Warren Alpert Medical School and Lifespan health system. 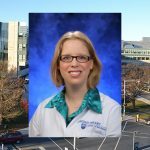 Penn State Hershey PRO Wellness Center has announced that Dr. Jennifer Kraschnewski will serve as its newly appointed executive director effective November 1. 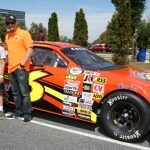 Josh Williams, who is currently a championship contender in the 2015 ARCA Racing Series driver point standings, brought his Team Anya Cale Hospital Tour to Penn State Hershey Children&apos;s Hospital this week.